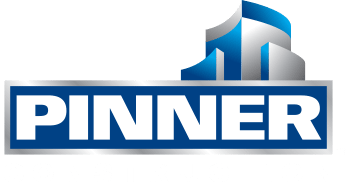 As a Project Superintendent at Pinner Construction, you will be working on exciting projects in a variety of market sectors, for a variety of clients, throughout Los Angeles county. As an official Pinner Ambassador, you will be encouraged to participate in and contribute to our culture of excellence, trust and quality. As a valuable member in shaping Pinner Construction’s future, you will aid in the development of adopting innovative processes and techniques in order increase the company’s momentum moving forward. Capable of performing Assistant Project Superintendent and Project Engineer responsibilities. Conduct project safety meetings and enforce safety policies and procedures throughout the course of the project. Develop and maintain relationships with the Owner, Subcontractors and Architect. Coordinate field construction work through organization and proper planning. Set the standard for excellent quality control. Properly plan the purchasing of materials and tools. Review project drawings, specifications and submittals. Attend or hold regular Subcontractor and Management meetings. Perform start-up testing and prepare for Owner turnover. Document final close-out and guarantee Owner acceptance. Work in either Los Angeles or San Bernardino County. Hold either an Associate’s degree in a related field and 5 years of Project Superintendent related experience.